2018 has been a crazy year for cryptocurrency and we are the only halfway through it. With colossal crashes and market stabilisations, the emergence of exciting new technologies, and regulatory developments from all over the world, a lot has happened in just six short months. Here is a guide to the most important things that have happened in the cryptocurrency market and the world of blockchain technology so far in 2018. As we headed towards the end of 2017, things were looking rosy particularly if you were a holder of Bitcoin. With prices heading towards $20k for the first time, investors in crypto were sitting pretty and a mad rush to invest ensued. But as the excitement died down, something that could not be predicted happened- the market crashed. On January 16th, 2018, Bitcoin holders woke up to the horror that the value of their coins had slumped by 15%. This news triggered a fall in value for other leading altcoins and the excitement which surrounded the markets just a few weeks before disappeared just like investors profits. As prices continued to flounder across the board, people started to panic-sell and the moniker ‘Black Tuesday was christened. Some coins saw losses of up to 40% and it seemed like Warren Buffets prediction had come true and that the cryptocurrency bubble had well and truly burst. The less unflappable voices in the industry, however, noted that January always brings a slump in prices across various markets and that similar slumps had even occurred with Bitcoin as far back as 2015. There were several reasons for the crash. Firstly, after Christmas everyone is short of money, this is followed by similar festive periods in Russia and China, and taking into account these large splurges followed by periods of austerity, it is not hard to see how this could also affect the cryptocurrency market. It would also be fair to say that after such as a drastic increase in prices of crypto coins, a natural correction of the market was inevitable. With every meteoric increase comes a reverse-swing of the pendulum that needs to be ridden out, and January was just that. Now prices are more stable and are predicted to rise at a more stable rate, hopefully signalling an ere of market stability and maturity. Whilst some have dismissed Litecoin as the poor man’s Bitcoin, it seems that its popularity and its value are on the up. Released via an open-source client on GitHub back in October 2011, it was designed as an of the Bitcoin Core client but offered a decreased block generation time, a higher number of available coins, a different hashing algorithm and a modified GUI. By 2013 it had experienced a massive growth in value, increasing as much as 100% in 24 hours. By May last year it had secured its place as one of the top 5 cryptocurrencies in terms of market cap and by the start of 2018, it had started to be accepted by various online retailers. Various industry voices have stated that they believe it will surpass the $600 per coin mark by the end of the year. 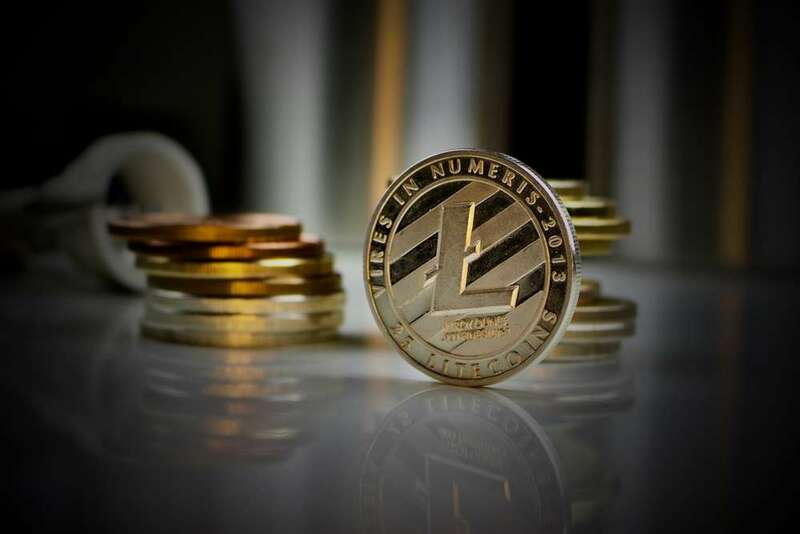 The truth of the matter is that Litecoin has huge potential and as it negates many of the issues faced by Bitcoin users, it presents itself as a viable alternative. Let us see what the rest of 2018 has in store for Litecoin. Malta has long been a hub for digital innovation. Take for example the iGaming industry and the FinTech market as a hold- both have been able to grow significantly thanks to the governmental and regulatory support from the Maltese authorities. Then in March, they announced three new bills that would seek to both regulate, and encourage the cryptocurrency and blockchain market. The Virtual Financial Assets bill will provide a regulatory framework for both ICOs and cryptocurrencies. The Malta Digital Innovation Authority Bill and the Technology Arrangements and Services Bill will oversee companies that are operating within the sector as well as providing much-needed guidance on operations. This will make Malta the first jurisdiction in the world to legislate in favour and support of the industry. Where many countries have come down hard on cryptocurrencies, Malta will instead strive to protect both the customer and the operators whilst allowing the sector to grow. This is great news not just for Malta but for the global market as it is expected that many other jurisdictions will follow suit, using Malta’s laws as a template for their own regulations. Ensuring adherence to AML and KYC as well as addressing concerns around privacy, illicit activities, and the lack of credibility around ICOs, it means that the industry will receive a much-needed confidence boost, increasing trust levels across the world. This time last year, Binance was nothing more than a dream, an idea and a concept. Then in July 2017, they raised $15 in their ICO and the world’s biggest cryptocurrency exchange was born. Founded by Canadian/Chinese entrepreneur Changpeng Zhao, it has now grown to have a market capitalization of $1.3billion and it is the largest and most popular crypto exchange in the world. Following the introduction of constricting regulations in Japan and China with regards to cryptocurrencies, Binance was on the lookout for a new home. Around the time that this rule tightening occurred, the government of Malta announced its intentions to create its legal framework for virtual currencies, ICOs and blockchain technology- it was a match that was bound to happen. On March 23rd, the move was made public and the crypto world reacted. Such a vote of confidence is a big deal for the small, Mediterranean nation and it is expected that this will bring it to the attention of may other international cryptocurrency related companies that are looking for a foothold in the EU market. Whilst cryptocurrencies become more popular and continue to infiltrate the mainstream, the technology that underpins them has also garnered a lot of attention. The blockchain, the platform that facilitates cryptocurrency transactions has not only grown in popularity but instances of use cases have just kept on coming. 2018 has definitely been the year of the blockchain and with half the year remaining, we are expecting to see more and more interesting applications of the tech as we go. Examples include its adoption by companies such as Maersk and IBM to facilitate lower cost global logistics processes, to a crypto beer vending machine created by US-based company Civic. It has been tipped to revolutionise electoral systems in developing countries, provide microloans to SMEs and even presented as a possible way to solve the energy crisis in third world countries. It seems that there are not many industries left untouched by blockchain potential- even traditionally non-techy sectors such as legal, accounting, and healthcare have the potential for blockchain integration. 12 months ago, blockchain was something that was not widely understood. People were cynical and its connection to Bitcoin made many investors wary, but as its capabilities become more understood, more and more applications are becoming apparent. As we progress to the end of the year, we can expect to see the uptake of blockchain integration increasing in both large international companies, and smaller enterprises. Over the last six months. TRON has been increasing in price at a steady rate. Despite a few hiccups earlier in the year it seems to have finally settled on a steady momentum which paints a picture of a bright future for the platform and coin. TRON is a blockchain based, decentralised protocol project that works as a content distribution platform for the digital entertainment industry. Whilst the main public platform is still to go live, the value of the TRX coin is starting to soar. Founded in September 2017 by Justin Sun, the idea behind it is to create a worldwide, free entertainment content ecosystem which gives power to creators to publish, store, distribute and own their own content- cutting out the need for a middleman. Its highest value per coin was $0.30 on January 5th, but it is forecast to hit $1 per coin in the coming year or two. What makes it a desirable investment is not just the fact it is another cryptocurrency, but rather the platform that it is designed to work with has a high level of functionality and purposefulness as well as presented a much-needed solution. Over its lifetime, TRON has increased in value 11.39% which puts it in the top tier of cryptocurrencies in terms of value increases. It seems that TRON has created a genuine demand for its services and it will definitely be one to keep your eye on as we proceed through 2018. These are just some of the key developments that have shaped the world of cryptocurrency during the first half of 2018. With 26 weeks left to go, we await with baited breath what the rest of the year has in store for the cryptocurrency, blockchain technology, and the exciting world of FinTech. Do you think the second half of 2018 will bring similar to 2017 record-breaking prices?